But beyond ensuring correct pay for time worked, labor laws have increased the pressure on accuracy of all employee time records. In addition to an increasing number of labor grievances, FLSA, FMLA, and of course the Affordable Care Act are just a few regulations that demand precise labor records – even for your mobile employees. Plus, employers are looking to drive improved engagement and mobile platforms help achieve that goal. Employees have more access to the information they need, when they need it, without interrupting HR. 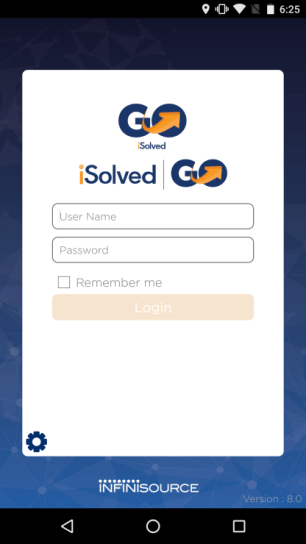 Features such as Remember Previous Selections make the iSolved Mobile app very quick to learn and use. It saves HR and payroll time, improves data accuracy, and takes the guesswork out of mobile time sheets. 7 minute iSolved GO video: A short presentation of the mobile features found in iSolved GO mobile app.